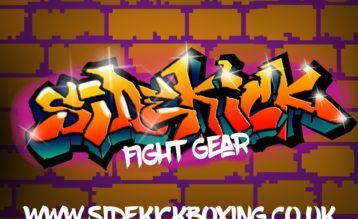 In November 2011, Sidekick sponsored a world championship bout between the 13x professional world kickboxing champion Marlon “The Game” Hunt vs Jamie Bates from County Durham. 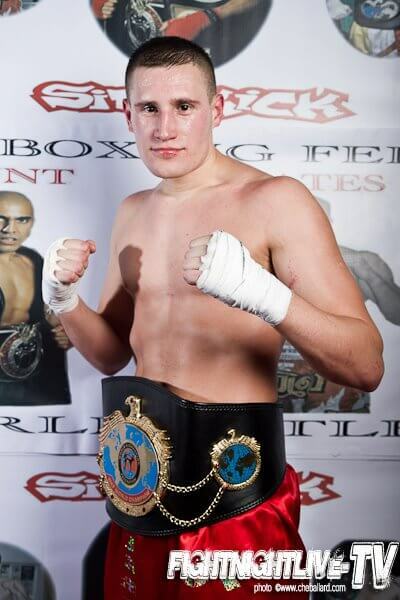 The Sidekick family travelled from Brighton to Newcastle to watch this historic moment in kickboxing ringside and watched Bates become victorious and become the new world full contact kickboxing champion. As Sidekick were in search for our first athlete to represent the brand, Bates ticked all the boxes and in 2012, Bates was our signed fighter. He held the brand extremely high, demonstrating his skills on an international level, travelling to various countries. With such a fantastic year working together, things were sadly about to come to an end. Bates was to undergo surgery to his shoulder, preventing him to fight the upcoming year leaving Daniel Knight (Sidekick Director) in a difficult decision to decide the future between Sidekick and Bates. We have always to this day followed Bates and when we heard the fantastic news of him being signed by Glory after his impressive win at Road to Glory UK, Daniel Knight felt the need to contact him to congratulate him on his success. On March 11 2017 Bates featured in the main event of Road to Glory UK, an event hosted by Dean Sudgen, the father of former welterweight Chad Sugden. Fellow welterweight Bates (24-6) defeated Kev Ward by unanimous decision to earn a two-fight contract with the Glory promotion. After a conversation we were both delighted to sign a new deal and it was the return of Jamie Bates. Glory is most definitely the biggest promotion for kickboxing in the world and Bates explained how this was a life dream to achieve and Sidekick want to be a part of that. Glory 40 is set on Saturday 29th April in Copenhagen live on UFC fight pass against the American Richard Abraham.